Valin represents a broad range of valve manufacturers and can provide the right solution for the technical demands of your process. We work with you to understand your requirements, not just of your flow loop, but of your entire process, so the valves we supply will solve your problems the first time. 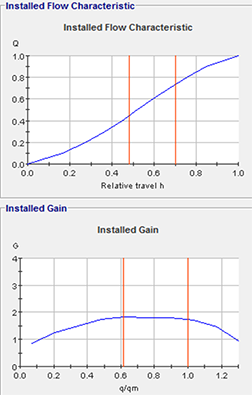 Our engineers use sophisticated modeling tools and sizing programs to assure proper trim selection, predict noise levels, prevent flashing or cavitation, and provide dimensional drawings of valve assemblies. We have extensive experience in industries such as Refining, Oil and Gas, Energy Production, Pulp and Paper, Food Processing, Shipbuilding, High Purity/Pharmaceutical, Semiconductor Manufacturing and many others – and can help you avoid the common, and not-so-common pitfalls in each. We understand the advantages and limitations of the many materials used in valve construction. We offer valves with hardened, high-alloy and ceramic construction for erosive and abrasive services; fluoropolymer and thermoplastic valves for handling aggressive corrosion and high-purity requirements; and elastomer lined valves where cost-effective solutions for dirty services are required. We understand NACE, API and ASME requirements and can help you select the right valves to keep your process, customer and regulatory agency happy. View some of our projects by clicking here. 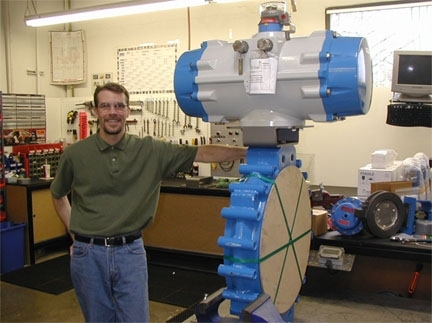 Valin Application Engineers have the experience, training, and tools to select the right valve for the application, and to provide documentation of what you can expect once the valve is installed. Let us help you select the right valve for your process. Save time by outsourcing all of your control valve needs to Valin! Call our Control Valve Automation Center at (877) 852-5259, or fill out our online form.